Marvels Iron Man 2 DVD from DVDLand. With the world now aware of his dual life as the armored superhero Iron Man, billionaire inventor Tony Stark (Robert Downey Jr.) faces pressure from the government, the press, and the public to share his technology with the military. Unwilling to let go of his invention, Stark, along with Pepper Potts (Gwyneth Paltrow), and James "Rhodey" Rhodes (Don Cheadle) at his side, must forge new alliances -- and confront powerful enemies. Creating Stark Expo - a look at how the sets and computer-generated elements combine to create the massive set piece. 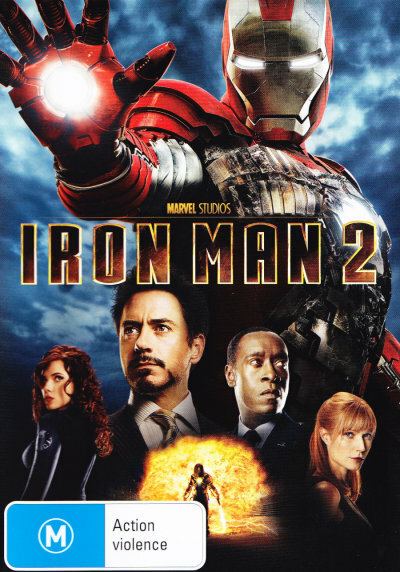 Click the button below to add the IRON MAN 2 to your wish list.